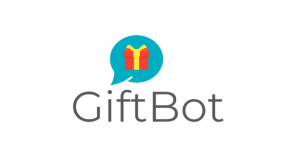 GiftBot is a chatbot which helps people to choose personalized gifts. According to our research, 90% of people do not always know what gifts to choose, so this is why we created a chatbot, that asks you a few questions about a gift-receiver and then generates a list of personalized gifts for him with direct links to online shops where to buy them. Online shops, from where the gifts are presented, will pay us for each click to their products. We do already have an existing product with more than 1k users. Currently, we partnered with 14 online shops on Instagram and are getting advertising from them, that gives us +500 users weekly. We have won YEP!Starter Incubation Program and in Jan 2019 we are going to the European startup conference called Startup Day in Tartu, Estonia. Our customers are people of 14-50 age living in Ukraine and using messengers. Our market is eCommerce market which is estimated to cost 65 bln UAH in 2018 by growing by 30%. The problem is that more than 90% of people do not always know what gifts to choose. This is a result of the research we conducted with more than 1200 respondents. And this why people will use and are already using our bot. As for online shops that will pay us, they are always looking for new ways to get more traffic to their websites and therefore more sales. A chatbot that asks you a few questions about your gift-receiver in a messenger (currently Telegram) and then generates the list of gifts to choose for him with direct links where to buy them. In future (mid-2019) there will be a possibility just to insert the link to the Instagram profile of the gift-receiver to the GiftBot and therefore to get the list of even more personalized gifts. All of our competitors do not offer any personalization of gifts, they only offer their distinctions by the criteria mentioned before. Moreover, mostly they are offering their own gifts, but do not exist as a platform for other online-shops. Our estimated cost per one click to the partners' products we present as gifts by the GiftBot is $ 0,12. Our partners who are online shops will pay us for clicks to the links of their products we present as gifts by the GiftBot.